The great Indian astrophysicist, Dr Jayant Narlikar was born on July 19, 1938, in a highly educated and cultured family in Kolhapur district of Maharashtra. His father Prof. Vishnu Vasudev Narlikar was the Head of the Department of Mathematics at Benaras Hindu University. Thereafter he was Chairman of the Rajasthan Public Service Commission. 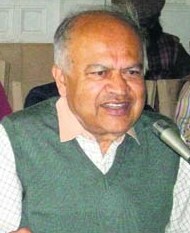 Jayant Narlikar had his education in Varanasi. His mother was a graduate in Sanskrit from Mumbai (Bombay) University. Besides, she loved English literature. She was graceful, cultured and educated lady. Young Narlikar was exceptionally talented and always topped at school and college examinations. Mathematics was his favourite subject. Besides, he enjoyed reading. In 1959, he cleared BSc Honours from Benaras Hindu University. He stood first in the University. His subjects were mathematics and astrophysics. For further studies his father wanted to send him abroad. Before leaving India, he was informed by those who had already been to England, not to be complacent. Life would be tough but having worked hard, he came out with flying colours. The advice he received from his father and particularly, his maternal uncle Dr. Vasantrao Hujurbazar really stood him in good stead. Besides his parents, Fred Hoyle, his teacher and mentor had a great influence on him. Besides, his extraordinary result at the graduate level also fetched him a scholarship. He was sent to England, where he joined Cambridge University. Here he obtained MSc degree in just two years. Incidentally at that time a world famous teacher of astrophysics was in Cambridge. He was, Frederick Hoyle, better known as Fred Hoyle, Hoyle was professor at Kings College, Cambridge and conducting research on the speed and condition of celestial bodies. Narlikar registered for PhD under Hoyle and began research work. 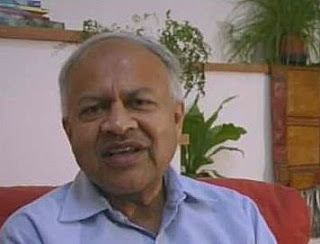 Hoyle accepted him wholeheartedly, In 1963, Jayant Narlikar was awarded PhD by Cambridge University. He stayed in Cambridge from 1957 to 1962. 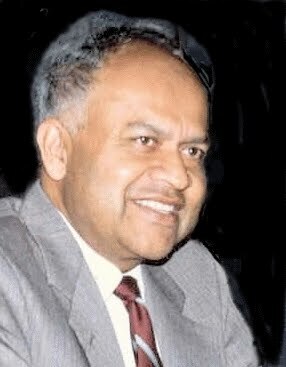 During his 15 years stay abroad Dr. Narlikar made many important researches. At the age of 22 years he became member of the Royal Astronautical Society. He was also appointed Fellow at Kings College, Cambridge. His father too, was member of this institute. His PhD thesis included research on principles of gravitation, gravitational pull between different celestial bodies, formation of the universe and others. He had also presented another view to the popular Big Bang theory. According to his theory the universe is not expanding but static (still). He had described it as ‘steady state’. This theory shed new light on the subject. With Fred Hoyle, he presented the famous Conformal Theory of Gravity, which became well-known all over the world. Narlikar and Hoyle worked on cosmology, including the steady state theory, theory of gravitation, electrodynamics, etc. They propounded that the force of other powers in space and the universe has an effect on the mass of matter. Besides, it also affects the shape and size of matter. It is generally believed that the gravitational pull depends on the mass of the object. He suggested that the gravitational pull on celestial bodies depends on its density. As the internal density of the object is more, so is the gravitational pull on celestial bodies depends on its density. As the internal density of the object is more, so is the gravitational pull. This is the reason why such heavenly bodies try to devour other heavenly bodies. As the mass of these objects increases it becomes dense. Its density increase so much that such a pinch of mass is equivalent to several tons in weight. In the end it becomes a Black Hole. Such objects do not even allow light to escape from them. His researches on gravitation of space objects are considered noteworthy. He received awards and medals from many institute in Europe. In 1969, the Union education Minstry invited Dr Narlikar and Hoyle to visit India and deliver lectures. In 1968, Cambridge University honoured him by presenting him the Adam Award. Earlier, three Indian scientists had received this prestigious award: in 1944, Dr. Homi Bhabha; in 1948, Dr S Chandrashekhar; and in 1961, Dr Hujurbazar, This award is given every two years in the memory of Dr J C Adams, astrophysics and natural science. Adams was an outstanding astronomer, who has predicted the existence of planet Neptune in 1846. Narlikar married Mangala Sadashiv Rajwade in 1966. In 1969, when he returned to India, he was conferred the Padma Bhushan by the Government of India. Mumbai’s Tata Institute of Fundamental Research invited him to join as professor of astrophysics. Narlikar too had decided to offer his services to the country. In 1972, he joined TIFR as professor. Besides research and teaching, he guided doctoral students. Here he continued research on tachyons. Tachyons are particles that move faster than the speed of light. According to Dr Narlikar, Black Holes are bases of tachyons. They absorb light coming from outside and with tremendous pressure contracts the surface of the Black Hole. After coming here Narlikar developed one more activity. To popularize science and especially astronomy among the people he wrote book Akashashi Jadle Nate (Related to the Sky) in his mother tongue Marathi. Besides he also wrote science stories. His books have also been translated into Hindi and Gujarati. He is an accomplished science fiction writer. In September 1988, the late Prime Minister Rajiv Gandhi encouraged him to start astronomy and nuclear physics inter university centre. Through the university Grants Commission and central aid such a centre has been made possible. Narlikar was its first director and worked as Homi Bhabha professor. In 1988, he attended an international conference on astronomy at Baltimore in America. On January 10 1989, the National Science Academy honoured Narlikar with the Venu Bappu Memorial Award for 1988. This award includes Rs. 25000 in cash and a medal. In 1990 he was awarded the Indian Science Academy’s Indira Gandhi Award and in 1996, UNESCO’s ‘Kalinga Award’. Recently, on March 12, 2003, the Yashwantroa Chavan Rashtriya Puraskar – 2002’ was presented to Narlikar. We pray to the almighty to grant good health and long life to this great Indian scientist, so that he may continue to serve the world of science and the country.